Gatesville drivers know it’s important to maintain their vehicles, which means ensuring it always gets a timely oil change. You can opt to do this yourself, or you can schedule a service appointment at a local dealership to have them do it for you. Changing your oil is easy if you’re the DIY type—it just requires you to know a little bit about your vehicle and how it works. The oil in your vehicle is meant to help keep the engine, belts, and bolts accurately lubricated so they can rub together without any issue. Explore below to see exactly how an oil change works and how you can do it yourself. Once the oil has drained from the engine, you’ll need to remove the old oil filter. If you cannot do this by hand, you’ll need to use a wrench to get it out. These filters will still have oil in them, so be sure your face is not directly underneath the filter as you try to remove it. Place the old filter in the container with the old oil so you can keep it from dripping into unwanted areas. After you’ve removed the old filter, be sure to put a new one to take its place. It’s a good idea to lubricate the gasket with a little bit of oil, so use old oil or new oil to do this. Once you’ve put the filter into place, put the nut back into place to secure the area. Changing your oil is easy, but sometimes you just don’t have the time or patience to do it yourself or you aren’t 100% confident you know how an oil change works. 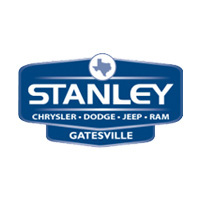 If this is the case, let the experts at Stanley Chrysler Dodge Jeep Ram Gatesville do it for you. We’ve been helping Gatesville drivers with vehicle service for years using genuine parts , so contact us to schedule your service appointment or stop by our dealership near Killeen today!